With millions of adoring fans from all corners of the world, League of Legends is the most popular, most diverse and most developed Esport. With millions of adoring fans from all corners of the world, League of Legends is the most popular, most diverse and most developed Esport. Unprecedented support from the game’s developer, RIOT GAMEs -who helped fund professional League of Legends events as well as investing and launching their very own professional leagues- facilitated League of Legends esports taking the world by storm. But while RIOT’s involvement has certainly been pivotal in the success of League of Legends – especially in terms of production and professionalism – they’ve also significantly hindered the competition, the story lines and in my opinion, the entertainment in watching League of Legends. Since the introduction of the LCS in season 3, League of Legends has massively lacked international competition. Worlds, Allstars(MSI) and IEM Katowice were essentially the only tournaments where you could watch international teams from all regions of the world compete and in the case of the latter two, 6-8 team competitions with inferior formats, have resulted in League of Legends having a rather lacklustre international circuit. And with the lacklustre international circuit comes a massive loss for League of Legends fans, players, analysts and pro players alike. Imagine a world where the number one team in the world never gets to compete against the second or third best team. That was the case for League of Legends in 2015. LGD, widely considered the best team on the planet at their peak, were never given the opportunity to compete at an international level while they were at their strongest. In fact, the best team in China were only awarded one opportunity to face off against the best teams in the world and that was at the World Championships were they surprisingly bombed out of the tournament in the group stage following losses to Kt Rolster and Origen. What were the best team in the world at one point were rendered the laughing stock of the entire event without a future chance to redeem themselves and without a chance to showcase to the entire world how great they were as a team. For most of the year, with the meta in his favour, LGD’s mid-laner We1less had been considered one of the best mid-laners in the world with some analysts even crediting him as the best mid-laner in the world surpassing the world champion SKT T1’s faker. Alas neither player had the chance to face off against each other and prove themselves to the world – in comparison, if this were Dota 2 or Counter Strike, both players and teams would have had dozens of opportunities to repeatedly face off against each other all throughout the year . An incredible story line would have developed; but no… Because of the lack of international tournaments we’re left with nothing but random fans rambling on about what could have been. We1less and LGD weren’t the only ones hurt by the lack of international competition. Formerly of EDG, Chinese AD carry Namei, was touted as the best AD carry in the world for the majority of the 2014 season. His incredible positioning and teamfighting propelled to carry his team to incredible domestic success winning 3 LPL splits and 6 other tournaments. But his accolades were rendered redundant following his mediocre performance at the world championship, the only truly international event he had ever had the opportunity to compete at. A player who was widely considered by analysts from across the world as the best AD carry was left with nothing to show for at an international level. Instead of fans from around the world having the pleasure of experiencing his incredible team fight awareness, ability to effortlessly dodge around spells and manoeuvre into optimal positions to have the most significant impact, he, much like LGD, remained the laughing stock of the event. Doublelift, one of the greatest American AD carries in the history of League of Legends, has never had the opportunity to face off against the likes of Namei or Bang, imp or even ohq or Forg1ven. Forg1ven himself, considered an elite level ad carry, has never been awarded with a chance to test his mettle against the elite ad carries of the world. Ad carries aren’t the only stars deprived of the opportunity. Midlaners the likes of froggen and Bjergsen have struggled to showcase their talents on an international level because of this unfortunate decision by RIOT. Kt Bullets are yet another example of a team inhibited of their right to compete on an international stage. In season 3 Kt Bullets were considered the second best team in the world, only behind the world champions SKT T1 K who they suffered an incredible defeat to. 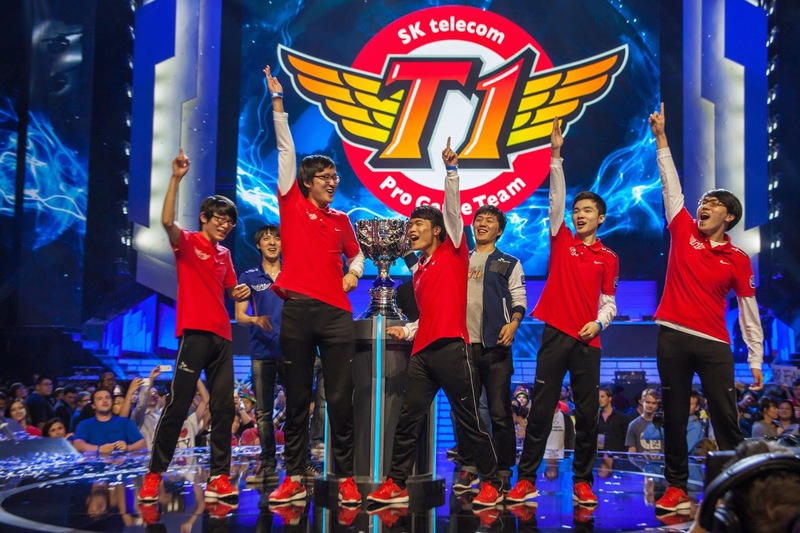 SKT T1 themselves are victims to current structure of League of Legends. Them being the most successful team in the history of League of Legends has resulted in only 8 total titles, only 3 of which being international. In comparison, fnatic’s CSGO team has nearly double that number in just one year. And I can go on and on with examples after examples of players and teams who were left without the opportunity to showcase their brilliance on an international stage or opportunities for teams to create dynasties and legacies. Had the fans not been entirely oblivious, the storylines and matchups that they have missed out on for years would have them riot and understandably so. RIOT’s stance on international competition has literally ruined League of Legends esports history. While League of Legends clearly suffers from a lack of international tournaments, that isn’t to say international tournaments are non-existent, however, while they may exist, they are subpar on several levels. For example, IEM San Jose and IEM cologne both fail as good international tournaments due to several reasons. The format – 2 day 6 team single elimination best of 3 with a best of 5 finals – is horrific. Because of the event only containing 6 teams, two teams are arbitrarily seeded into the semi-finals. Arbitrarily allowing teams to skip the quarter finals should never be a possibility in any good international event. It creates an unfair scenario where teams who may not be as strong are placing higher just because of their seeding rather than their merit as a team, it also allows teams to drop out of the tournament having only played one best of 3 which is to the detriment of fans and players alike, less competition is less entertainment. League of Legends is a game best played as best of 5, IEM San Jose and IEM cologne being a 2 day event make that near impossible to organize which leaves us with best of 3’s instead. In an ideal situation ESL/IEM would increase the lengths of their IEM events to 3 or 4 days to make sure we have the best competition. Another issue with San Jose and Cologne is how the teams are invited. Using fan votes will almost always result in weaker teams attending solely because the most popular teams aren’t always the strongest teams. It automatically weakens the competitiveness of the event and consequently lowers the overall interest as an international tournament. Teams in attendance also likely won’t deserve to attend the event which is why tournaments should almost always allow for several spots to be claimed through online qualifiers. I do realise the necessity of inviting popular teams; ESL are still an organisation that care about their numbers, so the solution is, instead of organizing fan votes, just invite those teams and host online qualifiers for the rest of the spots. Make sure to increase the number of participants to eight or higher to fix the direct seeding issue mentioned above and allow a healthy hybrid between strong teams that deserve to qualify and fan favourites. Another issue with IEM San Jose and IEM Cologne is that they operate as qualifiers for the IEM Katowice Finals. Because San Jose and Cologne are played in the offseason, which is an issue in itself, several months before Katowice, all these problems culminate into an even bigger problem which is inferior teams qualifying for the finals legitimately. ESL and IEM should work towards making sure that all their tournaments contain the strongest competition as to not allow inferior teams to qualify for the Katowice finals. Katowice and MSI also suffer from their own problems. In both cases teams are playing bo1 group stages. While best of 3’s are workable in League of Legends, bo1’s are not. As a format, bo1 should never be utilized in League of Legends. There are far too many variables that make best of one suboptimal for determining who the better team is. Of course if you care more about the entertainment value that comes with upsets than the competition then best of 1 isn’t necessarily the worst option. MSI, much like San Jose and Cologne, also suffers from a weak number of participants in attendance. Though, RIOT does circumvent this issue by using a 6 team round robin group-stage with best of 5 semis and finals. Even with those solutions the event is still sub-optimal. One big problem is the wildcard team in attendance. Having 1/6 teams in attendance come from a wildcard region automatically hinders the level of competition. But wildcard participation isn’t the only problem – while it’s a nice idea to invite the best team from each region, the best teams from each region are not equally skilled or even the 6 most skilled teams in the world. Now this type of tournament would be great had we had more international tournaments to watch the 6 most skilled teams go head to head but we don’t, League of Legends currently massively lacks competition between the top teams in the world – so for me personally, I’d rather MSI was used as a tournament where we can watch the best teams in the world compete for the trophy instead of watching clearly inferior teams struggle against the dominant Koreans. Domestic leagues are great. They help foster growth in regions by giving fans teams and competition from their region that they can cheer for. Domestic leagues are also great because they allow more players to compete professionally instead of drastically limiting the number of players who can pursue League of Legends esports as a career path. But that doesn’t mean international tournaments can’t co-exist with regional leagues. International tournaments provide the greatest storylines, the greatest matchups and the greatest competition. 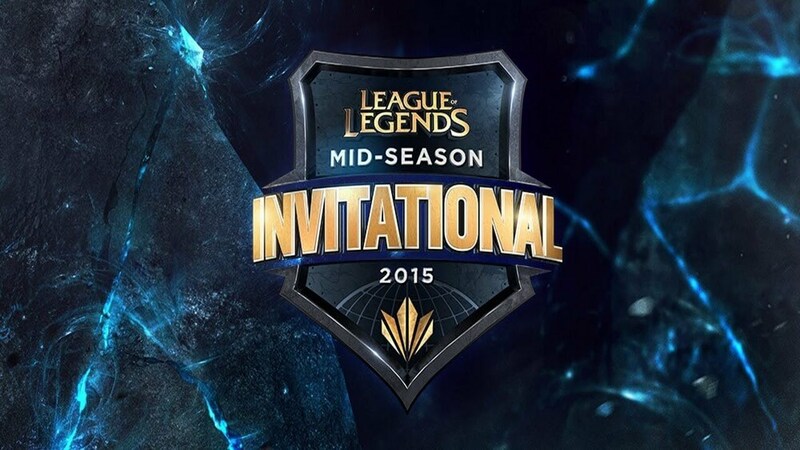 Allowing international tournaments to be played alongside the LCS is a win-win scenario for everybody involved. It gives teams the opportunity to gain international experience and test themselves against the best teams in the world. International tournaments allow teams to actually improve and see their improvement rewarded, unlike the LCS. It gives fans the opportunity to watch their favourite pro players and teams prove themselves against the best in the world. It gives third party organizers the opportunity to host the League of Legends events most of them have been so desperate to organize. It gives League off Legends fans across the world more opportunity to watch their favourite players live in massive audiences as international competitions are usually held in stadiums around the world instead of being limited to the LCS studios in Cologne and Los Angeles. And in combination with domestic leagues it would also eradicate any possible problem with over-saturation. International competitions also give fans, teams and analysts a more accurate idea of how teams and regions across the world rank. Right now it’s impossible to accurately determine who the strongest teams are or how the regions match up against each other. Yet another problem with League of Legends current landscape is RIOT’s obsession with needlessly prolonging competition and their reluctance to implement double elimination in any of their competitions. Longer tournaments are not automatically better. The month long League of Legends world championship is not any more entertaining than the 5 day CSGO Major Championships. If anything, longer, more drawn out events tend to be more tedious for spectators and teams. 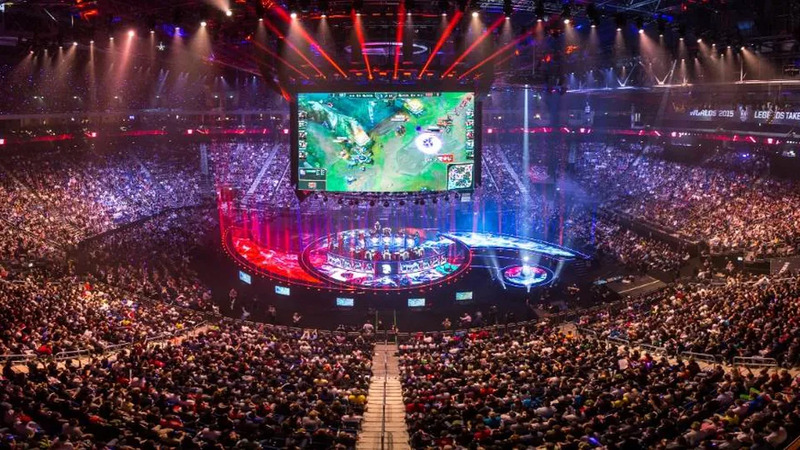 The League of Legends world championship could be played in two weeks and still be just as, if not more entertaining and more competitive than the current format. Double elimination is undoubtedly the best format in esports. It provides the best storylines, it gives the most accurate results; it allows for the most matches and matchups and as a result the most entertaining tournament. There’s a reason Dota 2’s The International has outperformed League of Legends WC in terms of entertainment since its inception. The Double elimination format is just that much better and there really isn’t any argument opposing double elimination especially when the current world championship is already played over an entire month. If time constraints aren’t an issue then there is no logical reason why double elimination can’t be implemented. 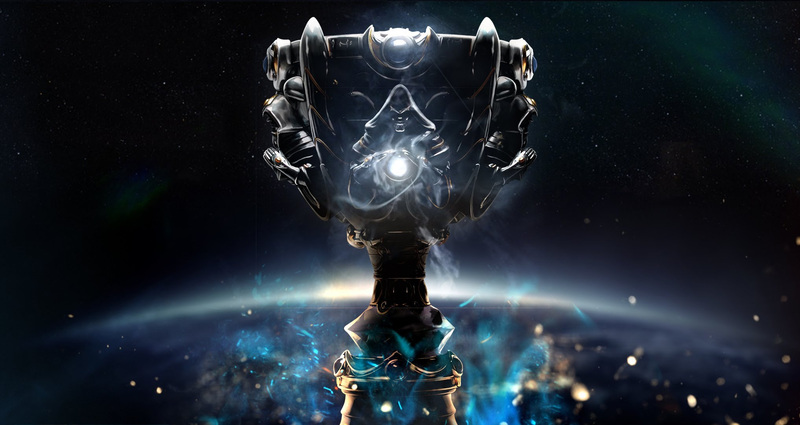 If you want your World Championship to mimic the World Cup then fine, but RIOT will have to accept that LoL WC will always be inferior to Dota’s international in terms of entertainment. But the World Championship isn’t the only competition where utilizing double elimination will significantly improve the competition. The LCS and all other tournaments in League of Legends can be exponentially improved by utilizing double elimination. League of Legends as an esport is great. There’s no denying that. It’s the most popular esport and most developed esport. But League of Legends has the potential to be so much better. The potential storylines and legacies that could have existed and have been robbed from us by RIOT’s implementation of the LCS and subsequent elimination of international competition is depressing. But things can be changed and things should be changed. It’s time RIOT accept that international competition is what makes esports great and stop depriving, the players, the teams and the analysts and League of Legends itself from the esports scene it deserves. I hope you enjoyed this article and I do hope it induces some thoughtful discussion about League of Legends, it’s current esports structure and all the potential storylines the Leauge of Legends community has missed out on.